City of Adelaide Lord Mayor Martin Haese has called on the Federal Government in Australia to develop a national policy and incentives to drive electric vehicle imports and sales. It is hoped that the incentives will help to develop a consistent vehicle charging infrastructure. The Lord Mayor has also requested the establishment of a Federal Interstate Registration Scheme to bring a nationally consistent approach to registering and collecting information on electric and hybrid vehicles to reduce the level of red tape and help develop a consistent vehicle charging infrastructure across the nation. The Lord Mayor’s comments came as he pointed to data indicating that of the 18.4 million vehicles registered in Australia in January 2016, only 3,487 were electric vehicles. In addition, vehicle sales data shows that of the 1.2 million vehicles sold in Australia last year, only “one fifth of one percent” of these were electric. 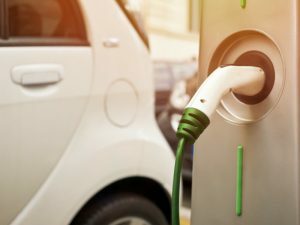 According to reports, the Queensland government is also considering an electric vehicle charging rollout, with the Brisbane Times reporting that Transport and Main Roads has advertised a tender, which includes a feasibility study into providing the infrastructure for electric vehicle charging stations for cars and bicycles.